One of the DGOI’s objectives is the international promotion of continuing education in implantology in order to improve the world-wide standard of dental medicine. For that reason, the DGOI is actively engaged in cooperations with its partner organizations in Thailand, China, Israel, Egypt and Jordan to develop well-structured and high-level continuing education programmes in oral implantology based on German standards. And the DGOI is still extending its field of activity with new cooperation partners: Romania and Ukraine are the newcomers in 2017. 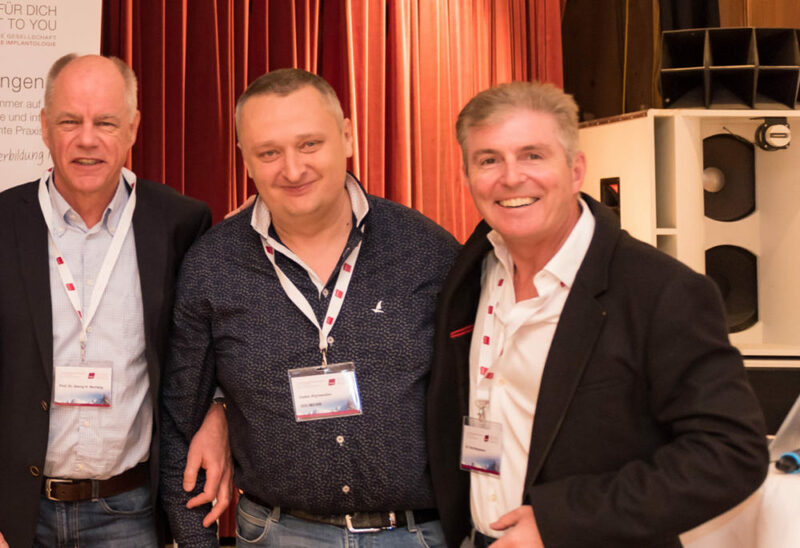 Starting in autumn, the experts of the DGOI will support their Romanian and Ukrainian colleagues to acquire a profound basic knowledge according to the model of the Curriculum Implantology. In Romania, the Curriculum will be implemented in cooperation with the Romanian association „Societatea Romana de Stiinte Dentare“ and Professor Emanuel Bratu, Timisoara. The first set of courses will start in October 2017. In Ukraine, the Curriculum Implantology will take place in Kiev, in collaboration with Dr Vadim Klimyentyev und Professor Pavel Leonenko. Dr Vadim Klimyentyev (centre) will be implementing the Curriculum Implantology of the DGOI in Ukraine. Here with Professor Georg-H. Nentwig (left) und Dr Fred Bergmann (right).